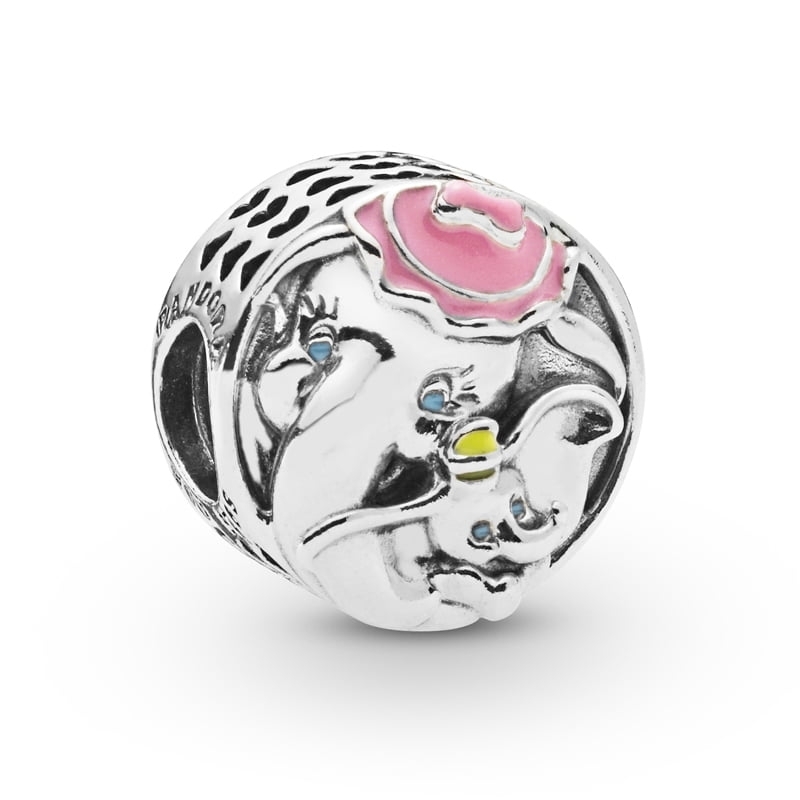 Pandora Disney - Dumbo and Mrs Jumbo Charm. Made from sterling silver, this heart-warming charm features the pivotal scene in the film when Mrs Jumbo sweetly embraces Dumbo. With hand painted enamel detailing, in shades of pink, blue and yellow, on the back of this button shaped charm, there is the loving message "my precious one"